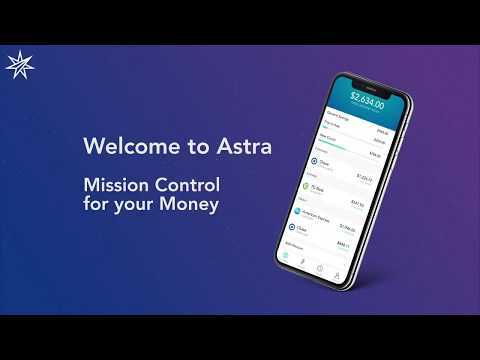 Astra is the easiest way to keep track your money, across all of your accounts, and automatically put funds aside for your savings goals—anything from going on vacation to buying a house. Simply connect your bank accounts, create savings goals, and manage the movement of your money with programmable “actions.” All you have to do is choose which accounts, the frequency, and the amount. No more remembering to schedule a transfer between your accounts or keeping a complicated spreadsheet to manage your cash flow.